Julienne du Toit and Chris Marais are the co-founders of Karoo Space. After completing her English Literature Honours degree at the University of Cape Town, Julienne joined The Star newspaper in Johannesburg in 1989, where she worked as a general news reporter. She moved on to create and edit her own award-winning environmental magazine, a highly-respected publication called Keeping Track. Julienne was mentored in environmental journalism by the legendary James Clarke, and later wrote a regular column for the Saturday Star. As one of South Africa’s leading environmental journalists, Julienne won a number of awards, including the IUCN Reuters Award (Africa & Middle East Category) for Environmental Reporting on the 2002 World Summit on Sustainable Development. She was also on the Advisory Committee of the United Nation’s Southern African Millennium Ecosystem Assessment (SAfMA) until the study was concluded in 2005. 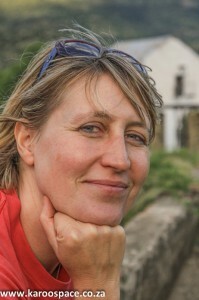 Julienne has written extensively on the threat of fracking to the Karoo ecosystem and human society. Chris completed his BA-Journalism degree at Rhodes in 1975 and went straight into the newsroom of The Pretoria News, where he worked in television, court reporting, features and general news writing for nearly two years. He joined the world-famous Rand Daily Mail newspaper in 1978, where he was on staff for a collective five years. 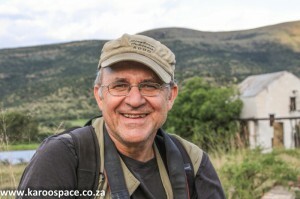 Chris became Johannesburg Editor of Scope Magazine, where he won his first Mondi Magazine Excellence award for featuring writing in 1988. He went on to edit the multi-award-winning Living Africa Magazine for seven years. In the process, Chris Marais worked on assignment as a photo-journalist in more than 50 foreign spots, including Mongolia, Borneo, Timbuktu, Madagascar and the French Quarter of New Orleans. In 1998 Julienne and Chris married and went freelance together. They worked from Johannesburg on assignment for a raft of publications which included South African Country Life magazine, Sawubona (South African Airways in-flight) magazine, The Guardian newspaper (UK), AA Traveller, Africa Geographic and SA Garden & Home. In 2004, they embarked on their most ambitious project to date: a three-month journey around Namibia in a bakkie. Out of that emerged their first published book: A Drink of Dry Land – Journeys to Namibia. 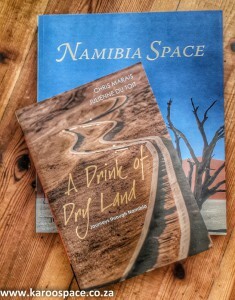 That was quickly followed by a photographic depiction of their trip: Namibia Space, now out of print. The following year, they went on another overland odyssey along the entire coastline of South Africa. Coast to Coast – Life along South Africa’s Shores. All four books were published by Struik – now Penguin Random House. 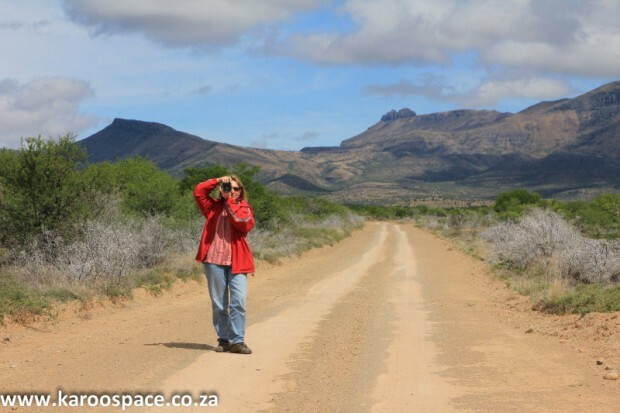 In 2007, Julienne and Chris moved to the Eastern Cape Karoo town of Cradock. They have subsequently criss-crossed the entire Karoo region many times in search of stories for their freelance clients and Karoo Space, their ground-breaking website on the region. They were also collecting invaluable anecdotes, impressions and lifestyle features for their independent publishing debut: the Karoo Keepsakes series of books. Karoo Keepsakes I and II have both won Book of the Year awards at the annual Richmond Book Festival, been presented at Wordfest in Grahamstown and the prestigious Franschhoek Literary Festival. 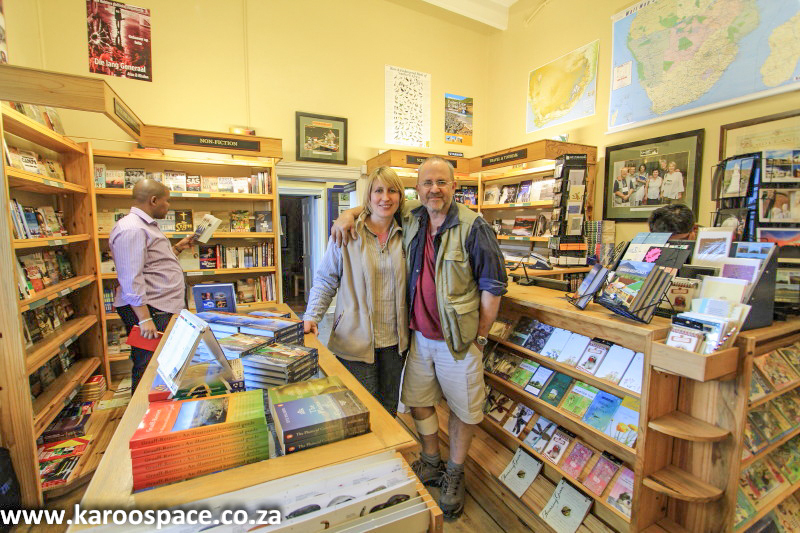 Chris and Julienne have built up a healthy network of shops across the Karoo – and a small core of bespoke bookshops in the big cities of SA – where their books are sold throughout the year. 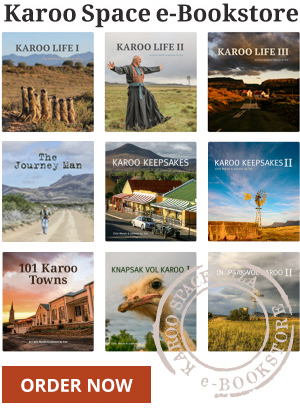 They have recently published several e-books on the Karoo.